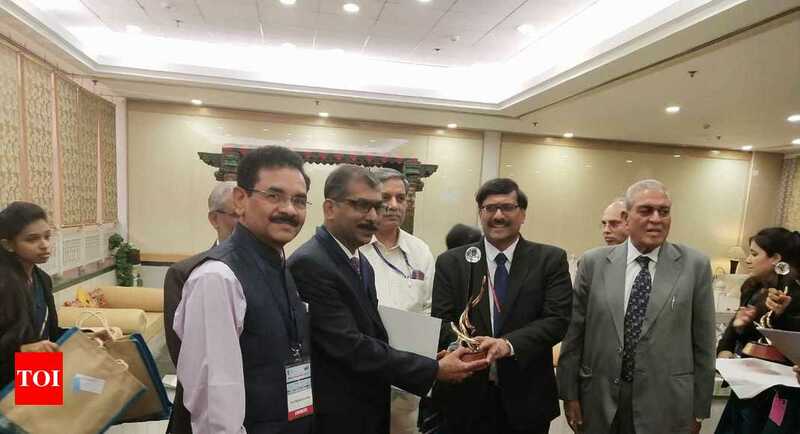 MANGALURU: The Manipal Academy of Higher Education has added another feather to its cap by breaking into the top ten of National Institutional Ranking Framework (NIRF) 2019. Some of its college under MAHE has also made it to top slots which include: KMC ( Manipal, Mangaluru), Manipal College of Pharmaceutical Sciences and MIT, Manipal. Apart from MAHE, several education institutions from coastal districts have also shown their mettle in NIRF ranking which include: NIT-K, Surathkal, Nitte, Yenepoya (Deemed to be university), Mangalore University and others, released by President Ramnath Kovind, on Monday. MAHE is one of the three Institutions of Excellence in the country has improved three places from the 2018 rankings for Indian educational institutes. The rankings are done by the Union Ministry of Human Resource Development. When the 2018 rankings were announced, MAHE had moved up seven notches to the 11th position and the Vice Chancellor, Dr H Vinod Bhat had said, “it is my belief that in the coming years we will do even better and see MAHE in the top 10 in NIRF’s 2019 rankings”. True to his words, MAHE has made the mark, and Dr Bhat remarked, “I have no doubt we will continue to do better with every passing year. We are working in that direction and I am confident of improving our position in the rankings”. In the overall ranking too, MAHE has improved two places – from 18 to 16. The NIRF ranking framework follows an approach which outlines a methodology to rank institutions across the country. The parameters broadly cover ‘Teaching, Learning and Resources,’ ‘Research and Professional Practices,’ ‘Graduation Outcomes,’ ‘Outreach and Inclusivity,’ and ‘Perception’. It is a remarkable achievement for the University declared as Institution of Eminence last year. In the rankings for institutions, Kasturba Medical College, Manipal was ranked seventh in India and the Medical College at Mangaluru retained its 16th rank in the country. Manipal College of Pharmaceutical Sciences continues to be the seventh best and Manipal Institute of Technology is ranked 43. Yenepoya (Deemed to be university) has figured second time in the below 100 rank in university category. It has secured 95th spot and where in the previous year it was in 92 position. Farhaad, director Finance and Research, Yenepoya Group said that they will do better in coming days. “This will push us for scope of improvement,” he added. Mangalore University has placed in 87th position in university category. Nitte University has been ranked 70th amongst the 900+ Universities in India in NIRF ranking. The University has climbed seven places from last year and this is the third successive year it finds itself in the Top 100 Universities of the nation. Nitte University is in the Top 25 in the teaching-learning resources parameter and in Top 15 in the outreach and inclusivity parameter. Nitte Gulabi Shetty Memorial Institute of Pharmaceutical Sciences (NGMIPS), one of the constituent colleges of Nitte University is ranked 33rd in the discipline of Pharmacy among 301 participating Institutions. This is the third successive year in which NGMIPS has been ranked in the Top 30 Pharmacy colleges of the country. National Institute of Technology, Karnataka, Surathkal has been inching forward year by year. Last year it was ranked 57 overall has climbed to 53, this year. However, retained 21st position in engineering.